World War II has finally ended, but for Jonathan Preston—the US Army’s most successful covert operative—a new mission is just beginning. 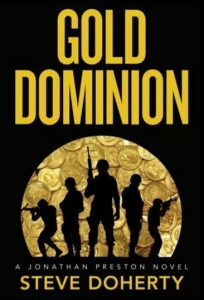 Preston must lead a team of American intelligence agents to find several hundred thousand tons of gold, precious gems, and antiquities that were plundered from invaded Asian countries by the Japanese during the war. Although initial reports claimed the gold was in Japan, Preston learns from a surrendered Japanese general officer that it was sent to the Philippines for safekeeping. Preston and his team race to Luzon and soon discover the spoils have been scattered across multiple countries. But they’re not the only operatives eager to possess the stolen gold and other valuables. A slew of dangerous thugs, corrupt politicians, and ruthless underground organizations are also on the hunt. Among them is Japanese assassin Asami Nakada, who wants revenge against Preston’s team after they took out her own band of female assassins during a mission in India six months prior. It’s imperative that Preston and his American operatives recover the gold first. If it falls into Russian, Filipino, or Japanese control, deadly forces may rise again to cause even greater destruction. 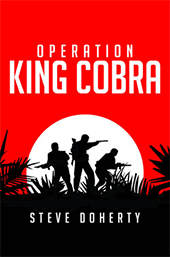 In 1945, United States Army Counterintelligence Agent Jonathan Preston leads his King Cobra team, a group of determined Allied agents, through deadly jungle landscape and behind Japanese lines, parachuting into enemy territory, and dodging Japanese patrols. Agent Preston doesn’t back down from even the deadliest missions and follows orders to lead a team of Allied operatives deep behind enemy lines in Southeast Asia to take on the Imperial Japanese Army’s Unit 731 — a frightening biological and chemical weapons component of the Japanese military responsible for the deaths of untold Allied prisoners of war. After the King Cobra team succeeds in raiding Japanese prisoner-of-war camps and freeing hundreds of Allied soldiers, Preston and his colleagues must also evade a team of elite Japanese assassins hell-bent on their demise. 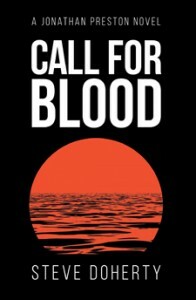 Call for Blood explores the little-known crimes and atrocities committed by the Imperial Japanese Army’s Unit 731 and gives readers a front row seat for one of the most fascinating dramas of World War Two. 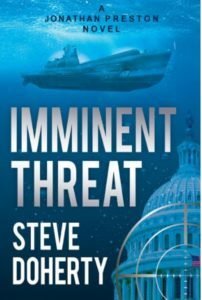 A gripping story of good versus evil set in a dramatic theater of war, Call for Blood will leave you clamoring for more from author Steve Doherty.